The “Tribung Itim” of Bobon town was declared as the best in dance interpretation in this year’s “Agta Festival.” The same group was also named as second best among the seven contingents. BOBON, Northern Samar- More than 3,000 people witnessed this year’s “Agta Festival” held this town in honor of Sto.Niño de Bobon. Susana Coloma, municipal tourism officer, said that the concelebrated mass was presided by Catarman Bishop Emmanuel Trance with co-celebrant Msgr. Gaspar Balerete, parish priest and was joined by other Catarman clergy and visiting priests. Seven “tribes” joined in this year’s “Agta Festival” which competed for the prizes at stake. About 30 other motorized banca and balsa also joined the boat racing competition. 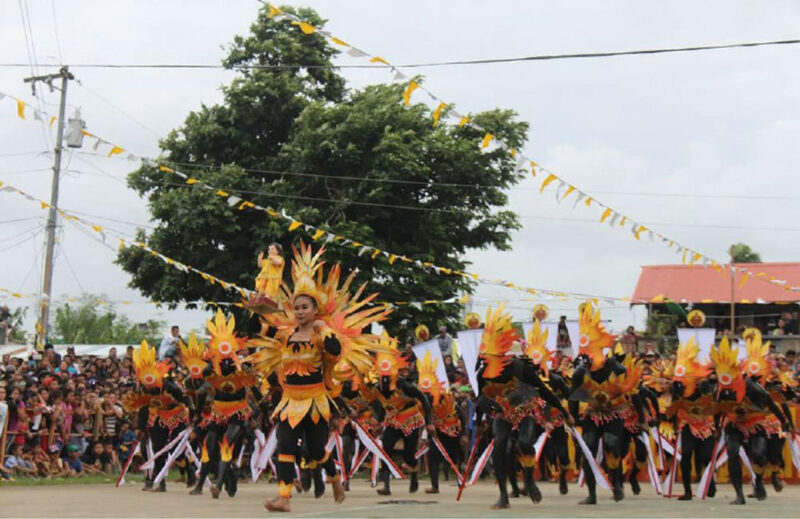 Declared as winners in the tribal dance competition with their respective prizes: first prize winner- “Tribu Cayang” of San Jose town, P30,000; 2nd Prize- “Tribung Itim,”– Bobon, P20,000; and the third prize, “Tribu San Rafael” of Catarman,P10,000. The non-winners received P5,000 each. Minor awards were also given with an additional P5,000 to Tribu Cayang for best costume; and Tribu San Roquenhon of San Roque town as most disciplined, while Tribung Itim as best in dance interpretation. Meanwhile, in the balsa competition, for the 1st, 2nd, and 3rd placers, each received P10,000; P7,000 and P4,000, respectively. Mayor Reny Celespara, in his message, acknowledged his deepest gratitude for all the sacrifices of their town’s officers and members of the tourism council and this year’s hermanas and hermanos that resulted to the success of this year’s Agta Festival. “Apisar san at inatubang nga kalamidad ug iba pa nga klase sin kakurian, waray kita mag pa apekto lugod dayon an aton mabaskog nga nga pagkaurosa pinagi san aton tinuig nga selebrasyon kan Sr. Sto. Niño,” the town mayor said.